Mgombelo, J., & Buteau, C. (2012). Learning mathematics for teaching through designing, implementing, and testing learning objects. Issues in the Undergraduate Mathematics Preparation of School Teachers: The Journal, 3, 1-16. Muller, E., Buteau, C., Ralph, B., & Mgombelo, J. (2009). Learning mathematics through the design and implementation of exploratory and learning objects. International Journal for Technology in Mathematics Education, 16(2), 63-74. Buteau, C., & Muller, E. (2014). Teaching roles in a technology intensive core undergraduate mathematics course. In A. Clark-Wilson, O. Robutti, & N. Sinclair (Eds. ), The mathematics teacher in the digital era (pp. 163-185). Dordrecht, The Netherlands: Springer. Buteau, C., & Muller, E. (forthcoming). Systemic integration of programming in undergraduate mathematics: From implementation to theory. 13th International Congress on Mathematical Education, Hamburg (Germany). Buteau, C. (2015, December). Undergraduates learning of programming for simulation and investigation of mathematics concepts and real-world modelling. Online proceedings of the Didactics of Mathematics in Higher Education as a Scientific Discipline conference, Hannover, Germany. Buteau, C., Marshall, N., & Muller, E. (2014). Learning university mathematics by creating and using fourteen “microworlds.” In G. Futschek & C. Kynigos (Eds. ), Constructionism and creativity. Proceedings of the 3rd International Constructionism Conference (pp. 401-406). Vienna, Austria: Österreichische Computer Gesellschaft (OCG). Buteau, C., Marshall, N., & Muller, E. (2014). Perception on the nature of core university mathematics microworld-based courses. In G. Futschek & C. Kynigos (Eds. ), Constructionism and creativity. Proceedings of the 3rd International Constructionism Conference (pp. 379-389). Vienna, Austria: Österreichische Computer Gesellschaft (OCG). Buteau, C., Muller, E., & Marshall, N. (2014, July). Competencies developed by university students in microworld-type core mathematics courses. In Proceedings of the Joint Meeting of the International Group for the Psychology of Mathematics Education (PME 38), 209-218. Marshall, N., Buteau, C., & E. Muller (2013, July). Exploratory objects and microworlds in university mathematics education. In Proceedings of the 11th International Conference on Technology in Mathematics Teaching, 187-193. Muller, E., & Buteau, C. (2012). An innovative integration of evolving technologies in undergraduate mathematics education. In V. Akis (Ed. ), Essays on mathematics and statistics (Vol. 2, pp. 117-122). Athens, Greece: Athens Institute for Education and Research. Buteau, C., & Muller, E. (2010). Student development process of designing and implementing exploratory and learning objects. Proceedings of the Sixth Conference of European Research in Mathematics Education, 1111-1120. Mgombelo, J., & Buteau, C. (2010). Mathematics teacher education research and practice: Researching inside the MICA program. Proceedings of the Sixth Conference of European Research in Mathematics Education (CERME 6), 1901-1910. Muller, E., & Buteau, C. (2006). Un nouveau rôle de l’informatique dans la formation initiale des enseignants. In N. Bednarz & C. Mary (Eds. ), L’enseignement des mathématiques face aux défis de l'école et des communautés", Actes du colloque EMF 2006, Sherbrooke: Éditions du CRP [CD-ROM], 17 pp. Buteau, C., Muller, E., & Ralph, B. (2015, June). 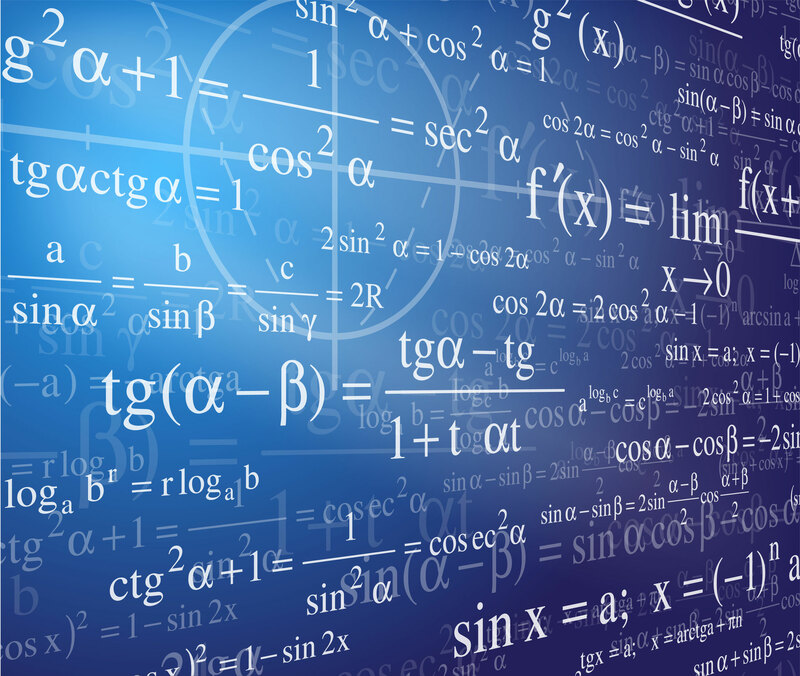 Integration of programming in the undergraduate mathematics program at Brock University. Online Proceedings of Math+Coding Symposium, London, ON. Buteau, C., Muller, E., & Marshall, N. (2014). Could “it” be an implementable form/alternative to microworlds? Proceedings of the Canadian Mathematics Education Study Group (CMESG) 2013 annual meeting, St.Catharines, ON, May 2013, pp. 241-242. Ben-El-Mechaiekh, H., Buteau, C., Ralph, B. (2007). MICA: A novel direction in undergraduate mathematics teaching. Canadian Mathematical Society Notes, 39(6), 9-11. Jarvis, D. H., Buteau, C., & Lavicza, Z. (2014). Computer algebra system (CAS) usage and sustainability in university mathematics instruction: Findings from an international study. The Electronic Journal of Mathematics & Technology (Special issue, part 2: ICME-12 Topic Study Group 18, “Analysis of Uses of Technology in the Teaching of Mathematics”), 8(4). Assude, T., Buteau, C., & Forgasz, H. (2010). Factors influencing implementation of technology-rich mathematics curriculum. In L. H. Son, N. Sinclair, J.-B. Lagrange, & C. Hoyles (Eds. ), Mathematics education and technology —Rethinking the terrain: The 17th ICMI study (pp. 405-419). New York, NY: Springer. Vale, C., & Julie, C. (with Buteau, C., & Ridgeway, J.). (2010). Implementation of technology-rich mathematics curricula: issues of access and equity. In L. H. Son, N. Sinclair, J.-B. Lagrange, & C. Hoyles (Eds. ), Mathematics education and technology —Rethinking the terrain: The 17th ICMI study (pp. 349-360). New York, NY: Springer. Jarvis, D. H., Lavicza, Z., & Buteau, C. (2012, July). Computer algebra system (CAS) usage and sustainability in university mathematics instruction: Findings from an international study. Paper presented at the 12th International Congress on Mathematical Education (ICME-12, Seoul, Korea. Buteau, C., Jarvis, D., Lavicza, Z., & Marshall, N. (2010). Issues in integrating CAS in post-secondary education—A literature review. Proceedings of the Sixth Conference of European Research in Mathematics Education, 1181-1190. Jarvis, D., Lavicza, Z., & Buteau, C. (2008). Computer algebra systems (CAS) in university mathematics instruction: A preliminary research report investigating CAS technology usage and sustainability. Proceedings of the 11th Annual Conference on Research in Undergraduate Mathematics Education (RUME). San Diego (USA), 11 pp. Buteau, C. (2006). Melodic clustering within topological spaces of Schumann’s Träumerei. Proceedings of the International Computer Music Conference, USA, 104-110. Lavicza, Z., Jarvis, D., & Buteau, C. (2008). CAS-based technology in university mathematics teaching: Exploring issues of teacher beliefs, implementation obstacles, and cultural differences. Paper presented at the 11th International Congress on Mathematical Education (ICME), Monterrey, Mexico. Buteau, C., & Lovric, M. (2015). Undergraduate math curriculum in 21st century: Dictated by the job market? Canadian Mathematical Society Note, 47(2), 10-12. Buteau, C., Jarvis, D., & Lavicza, Z. (2014). About your use of computer algebra systems in university teaching: A Canadian survey. Canadian Mathematical Society Note, 46(4), 8. Jarvis, D., Buteau, C., & Lavicza, Z. (2009). Technology use in post-secondary mathematics instruction: Report of a CMS winter 2008 meeting session. Canadian Mathematical Society Notes, 41(4), 6-7. Buteau, C., Broley, L., & Muller, E. (2014, July). E-Brock Bugs©: An epistemic math computer game. Proceedings of the Joint Meeting of the International Group for Psychology of Mathematics Education (PME 38), Vancouver, Canada, Volume 6, p. 31. Broley, L, Buteau, C., & Muller, E. (2015). The E-Brock Bugs computer game: What if becoming a (better) mathematician was a fun-filled adventure? Ontario Mathematics Gazette, 53(3), 27-32. Buteau, C. (2005). Topological motive spaces, and mappings of scores’ motivic evolution trees. In H. Fripertinger & L. Reich (Eds. ), Grazer Mathematische Berichte, Proceedings of the Colloquium on Mathematical Music Theory (pp. 27-54). Buteau, C. (2004). Motivic spaces of scores through RUBATO’s MeloTopRUBETTE. In G. Mazzola, T. Noll, & E. Lluis-Puebla (Eds. ), Perspectives in mathematical and computational music theory (pp. 330-342). Osnabrück, Germany: epOs-Verlag Osnabrück. Anagnostoupoulo, C., & Buteau, C. (Eds.). (2010). Computational music analysis [Special Issue]. Journal of Mathematics and Music, 4(2). Buteau, C., & Agnagnostopoulou, C. (2011). Motivic topologies: Mathematical and computational modelling in music analysis. In C. Agon, M. Andreatta, G. Assayag, E. Amiot, J. Bresson, & J. Mandereau (Eds. ), Mathematics and computation in music III. Communications in Computer and Information Science Series, 6726, 330-333. Buteau, C., & Vipperman, J. (2009). Melodic clustering within motivic spaces: Visualization in OpenMusic and application to Schumann’s Träumerei. In T. Klouche & T. Noll (Eds. ), Communications in Computer and Information Science Series: Vol. 37 (pp. 59-66). Buteau, C. (with Adiloglu, K., Lartillot, O., & Anagnostopoulou, C.). (2009). Computational analysis workshop: Comparing four approaches to melodic analysis. In T. Klouche & T. Noll (Eds. ), Communications in Computer and Information Science Series: Vol. 37 (pp. 247-249). Buteau, C. (2005, September). Automatic motivic analysis including melodic similarity for different contour cardinalities: Application to Schumann’s Of Foreign Lands and People. Proceedings of the International Computer Music Conference, 239-242. Buteau, C. (2005). Mathematics and music. Proceedings of the Canadian Mathematics Education Study Group (CMESG) annual meeting, Ottawa, ON, May 2005, pp.75-82. Buteau, C. (2002, November). RUBATO’s MeloTopRubette for topological analysis of melodic paradigms. Proceedings of the Second Conference of Understanding and Creating Music, Caserta, Italy.